Today the Governor released her budget proposal for 2019. 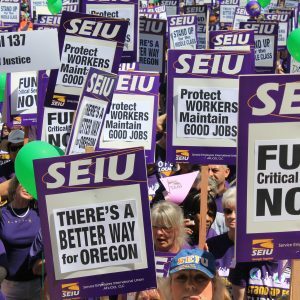 So what does that mean for SEIU members? Quite a lot. Let’s dive in. The most striking piece of the 2019 budget is that it calls for $2 billion in new funding for education and public services. This “investment budget” is a bold response to decades of chronic underfunding. If you’ve been active in our union, you know that we have been calling for exactly this type of bold investment for decades. Underfunding has put many Oregonians at risk, whether through poor outcomes at our schools and universities, challenges in our state’s child welfare program, threats to cut homecare and personal support services, or public employees who have seen wage growth slow and their benefits attacked. 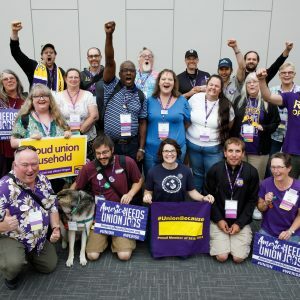 In addition to the investment budget, Governor Brown’s budget proposal puts SEIU members in a good position to bargain a strong contract in 2019. During the November election, Republican candidate Knute Buehler forcefully called for cuts to public employee compensation, arguing that doing so would free up funding for programs. Voters flatly rejected that proposal. While the Governor’s budget proposal presents a historic opportunity to raise revenue and win a strong contract for SEIU members, it’s not said and done. The budget requires the legislature to raise new revenue in 2019. Without new revenue, none of these investments will be possible. Fortunately, our union is working in coalition with labor unions and supportive businesses to raise corporate taxes in 2019. This coalition will not tie new revenue to cost cutting, which puts us in a fundamentally different – and better – position to fight for revenue and defend our members’ benefits, instead of trying to negotiate a compromise. Revenue is particularly important in Higher Education, which is given a “base” budget that’s inadequate, but stands to gain under the $2 billion “investment” budget. That means we must get organized on campus and begin pushing for a revenue bill. The proposal calls for stable Medicaid funding for six years. 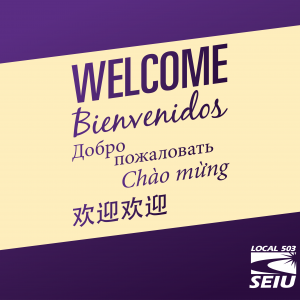 This is a continuation of the work that SEIU members and our allies did to pass Measure 101, which protected healthcare for thousands of homecare workers, personal support workers, and our consumers. Adult foster homes will receive a rate increase, which will help improve the services that adults with disabilities receive. The budget proposal is mixed on investments in our child welfare program. While it includes funding for 224 new positions, this falls short of the more than 700 new positions that a recent audit of the program found we needed. The Governor’s Budget also provides funding to strengthen therapeutic foster care and to increase provider rates and expand eligibility for services in the Independent Living Program. To support foster families, the budget provides resources to expand the KEEP program statewide; creates a team of caseworkers dedicated to recruiting and retaining foster families across the state; and funds additional caseworkers to develop and deliver appropriate training to foster parents. The budget also funds the completion of two initiatives that began in the 2017-19 biennium; legal representation of DHS child protective service workers in legal proceedings statewide and the transition to a centralized screening operation known as the Oregon Child Abuse Hotline. Our State’s most vulnerable children cannot wait any longer. So our union will be introducing a child welfare bill, aimed at making the staffing changes we know are needed now. Stay tuned for more information on that effort. The investment budget is a bold step toward improving Oregon’s schools and public services. The budget prioritizes public services workers, homecare workers, and personal support workers, setting us up to win in our next contract if we build a strong campaign. Stable Medicaid funding building on the strong work done around Measure 101. None of this is possible without new revenue, particularly in Higher Education. Click here to read the entire budget proposal.